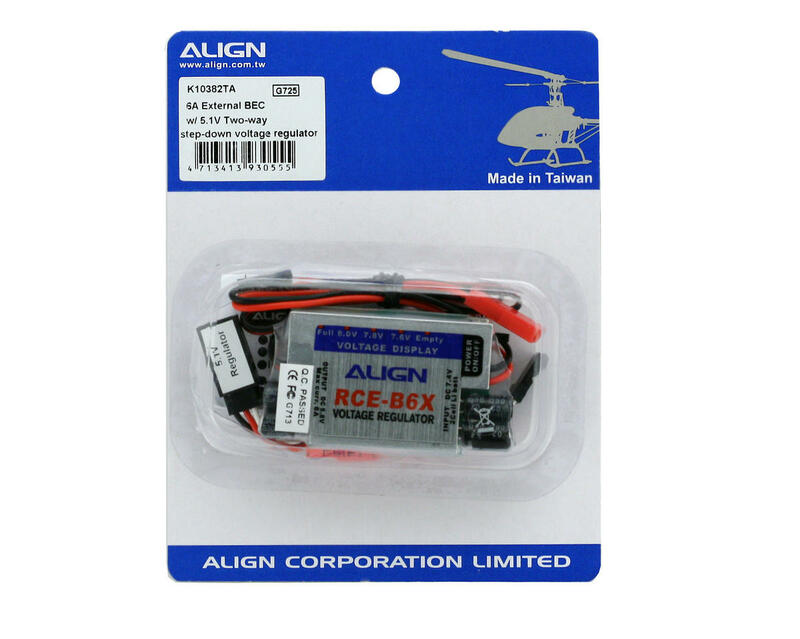 This is the Align External BEC with the 5.1v 2-way Step-Down regulator for use with a 2 cell Li-ion or Li-poly battery. The linear design eliminates any possible interference to receiver. Features include a power switch and voltage indicating light for battery status. The 5.1V step-down voltage regulator allows the use of Futaba servo models 9241, 9251, 9253, 9254, 9255, 9256 and other digital servos which are not capable of handling 6V directly. Connect this step-down voltage regulator inline with the rudder servo, or connect it between BEC (ex. 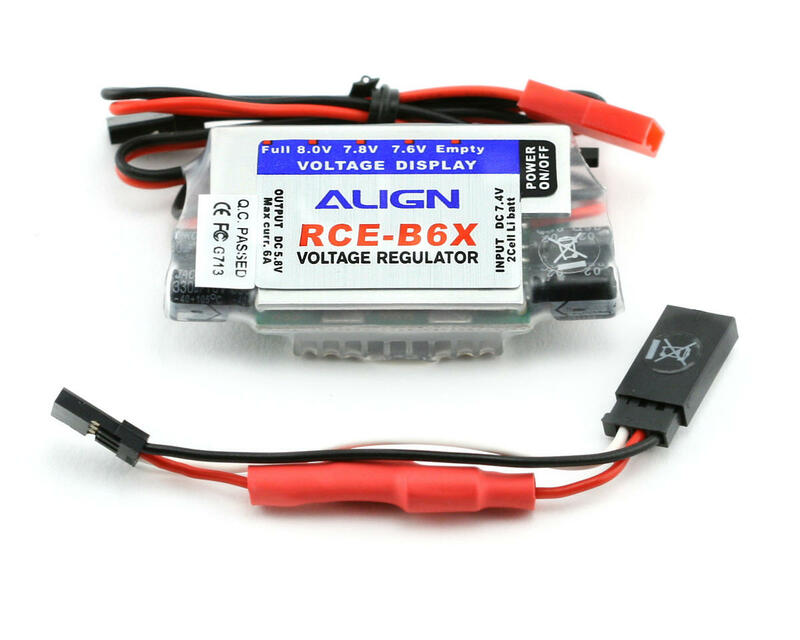 RCE-B6X) and the receiver to reduce the voltage to all servos.